Get behind-the-scenes to experience the research, education and outreach in marine sciences that makes this marine laboratory unique in the Pacific Northwest. MEET scientists! 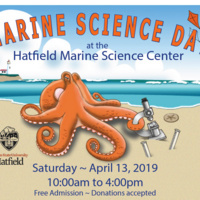 Come LEARN what's new on the Oregon Coast's most dynamic Marine Science campus.